Every day, U.S. government entities interact with millions of citizens to execute their core missions. Serving the citizenry has always has been a foundation of our government and today, rapidly advancing technological innovations are fundamentally changing citizen expectations. The last best experience that anyone has becomes the minimum expectation for the next experience. With these changing dynamics as a backdrop, organizations must begin to re-imagine how they innovate, operate, and engage with clients, employees, and stakeholders. Design thinking -- described as a human-centered approach to innovation that puts the observation and discovery of often highly-nuanced, even tacit, human needs right at the forefront of the innovation process -- is currently enjoying unprecedented attention from organizations in search of avenues for innovation, both in the public and private sector. The IBM Center recognized this trend and commissioned a new report, Applying Design Thinking to Public Service Delivery from recognized thought leaders Jeanne Liedtka and Randy Salzman of the University of Virginia’s Darden School of Business. 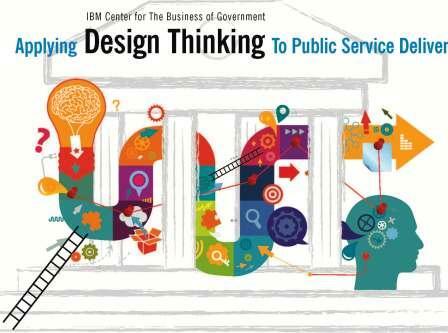 The authors explore the use of design thinking in public service delivery. It focuses on the expanding use of design thinking in government to transform how agencies engage citizens, enhance operations, and innovate across a broad spectrum of public management challenges. The authors identify five core characteristics essential to most design thinking approaches. Empathy: This emphasis on decision makers experiencing a profound and personal, almost sensory, immersion into the subjective realities of individual stakeholders may be the key differentiator between design thinking and other approaches like The Lean Startup. Diverse Perspectives: Diverse teams must bring with them differing perspectives. These differences in perspectives and talent expand team repertoires, paving the way for higher-order solutions, rather than sub-optimal negotiated compromises. Diverse, and active, teams have greater access to networks and resources while also enhancing members’ incentives to co-create. Dialogue: Successful design-oriented conversations are most vividly illustrated perhaps by what they are not. They don’t accept obvious and conventional problem definitions, allow extensive debates, or concentrate primarily on evaluating options visible from the start. Instead, they first explore the problem definition itself as a hypothesis, seek to understand rather than to argue with others’ differing perspectives in an inquiry-focused conversation, and look for solutions to emerge during the process. Iteration and Experimentation: Creating and testing multiple solutions through quick, field-based experiments is another hallmark of design thinking. This fosters learning in action and minimizing investment risk. Based on extensive research and first-hand interviews, they then present four case studies from the U.S. and around the world that illustrate the purpose, intent, and success of design thinking in action. Drawing on these studies, and from conducting hands-on training and workshops of design thinking principles and tools, the authors offer recommendations to government executives who can take advantage of design thinking to drive innovation in their organizations. 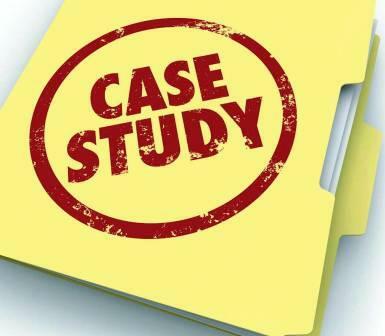 Provide a Structured Methodology and Tool Kit. Putting in place a structured methodology has multiple benefits. It provides clarity that translates an abstract concept—innovation—into a concrete set of new behaviors. It also provides a level of psychological safety for risk-averse employees. Additionally, it allows the standardization of processes across levels and geographies to ensure consistency, shared learning, and quality control. Offer the Opportunity to Learn It Well. Closely related to the desire for structure is the need for rigorous training. Given the unfamiliarity of design tools to bureaucrats—as well as the often challenging level of ambiguity and discomfort involved in utilizing those tools and the seemingly countercultural value system underlying design—a significant unlearning of orthodoxies and relearning of new approaches is usually required. Classroom learning alone is insufficient, and hands-on work with real projects is essential to developing core competency. Provide Necessary Infrastructure and Resources. Two categories of infrastructure support emerge from Darden’s research: (1) a supportive practitioner community, and (2) job-related resources to accomplish the work. Expert coaching is one aspect of the first category, and the creation of a community of practice is another. Innovation labs can play key roles in fostering both types of community support. Some successful government innovation labs, like Singapore’s, do not occupy a permanent physical space. Others do, like the U.S. Office of Personnel Management’s Lab@OPM Innovation labs function as a hub for connecting learners with expert coaches and supportive colleagues. Align Culture to Support Design Thinking Efforts. No matter how effective the structure, training, and coaching in place, accelerating the development of an organization-wide competency in design thinking requires creating a context in which doing things differently feels sensible and safe to employees. This involves fashioning an environment that helps employees choose action over inaction. Lack of creative confidence is a well-recognized challenge to achieving innovation; hence, creating psychological safety is critical for creating a willingness to learn in action. One way to create safety is to focus on small, low-visibility bets early in the innovation process. Patience is another important ingredient—and one often in short supply in organizations. Attention to these cultural supports—a tolerance for failure in service to learning, a willingness to invest in seemingly small projects to build confidence and experience to undertake larger ones, and a willingness to encourage broader engagement and experimentation—can significantly accelerate the uptake of design thinking approaches. Diffusing and scaling design think­ing throughout government will not be easy. Nor will design thinking supplant traditional approaches to crafting and imple­menting policy. Research demonstrates that design does, however, offer a unique toolkit for engaging diverse groups of stakeholders and improving the delivery of services to citizens. Therefore, governmental bodies should incorporate design thinking tools and methodologies into their problem solving repertoires. Enhancing governmen­tal abilities to imagine new possibilities, rather than succumbing to constraints, is essential if society is to deal with massive challenges facing the world. The problems that public sector organizations address are generally complex and “wicked” to a greater extent than those in private organizations. Design thinking, with its focus on understanding any issue from the perspective of the humans involved and its emphasis on both iterating and co-creating, allows the innovation conversation to evolve with its stakeholders. That is a prime design-thinking strength. The gap between organizations’ strategic need for ongoing innovation and adaptation and their actual performance is significant. Nowhere is this truer than in the government sphere. Design thinking provides a pathway—a systematic process and tool kit that is teachable and scalable—to address this longstanding gap and so deserves the attention of responsible leaders. This report also marks the Center's first since formally celebrating its 20th anniversary recognizing innovative trends and connecting research to practice. Though the style and format of Applying Design Thinking to Public Service Delivery may seem like a bit of a departure for us, it offers the reader a "design thinking journey map" that conveys valuable insights and practical recommendations in a way that is both appealing and faithful to the subject matter.